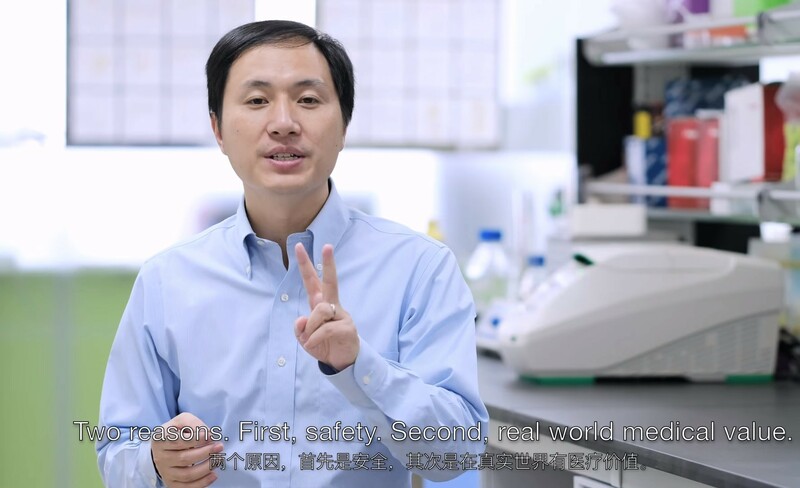 A Chinese researcher says his lab facilitated the first birth of gene-edited children — twin girls who are said to possess genetic alterations that could protect them from HIV, the virus that causes AIDS. “Two beautiful little Chinese girls, named Lulu and Nana, came crying into this world as healthy as any other babies a few weeks ago. The girls are home now,” He Jiankui, a researcher at the Southern University of Science and Technology in Shenzhen, said in a YouTube video. If confirmed, the report is certain to bring the ethical issues surrounding human genetic engineering into sharp focus, and could lead either to rapid developments in the technology or regulatory limits. This entry was posted in GeekWire and tagged China, CRISPR, Genetics, He Jiankui, Health, Medicine, Science. Bookmark the permalink.